I love bright colours. Always have always will! Whether it's clothing or makeup, I am always attracted towards bright colours because they just give off a great vibe. For spring/summer, bright nail colours are something everyone is attracted towards I think. I love wearing bright nail polishes because it kinda makes you feel like its summer because lets face it, we live in Britain. 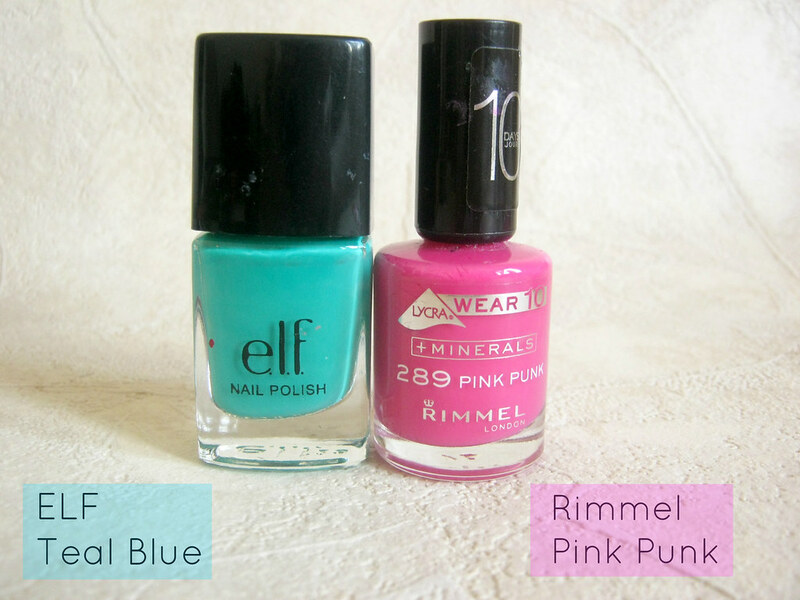 I thought I'd share some of my nail polish picks for summer today! 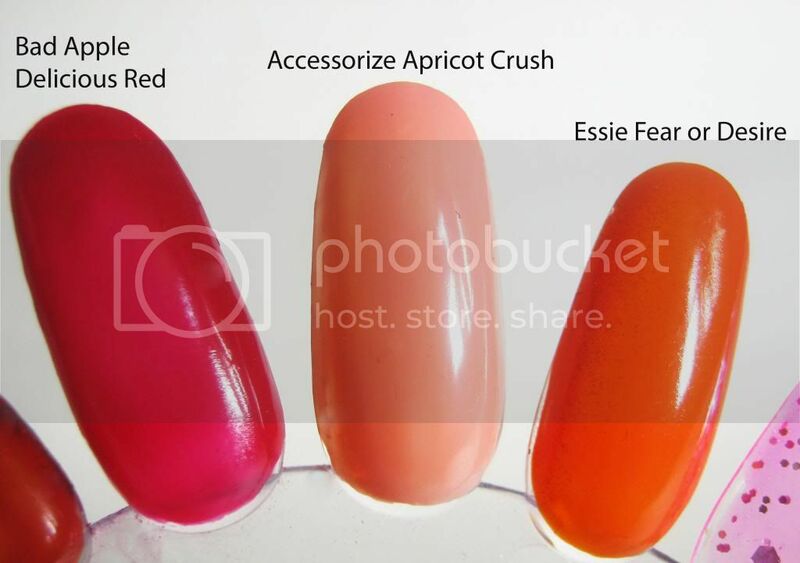 Essie's fear or desire is a vibrant orange colour with a cream finish. I have a nail of the day with this very soon! It's a lovely orange and makes me want to get a few more orange shades! Accessorize's apricot crush is also a lovely peachy colour that looks very pretty on. A little bit more of a subtle spring colour! Oh and this is my favourite. BadApple's Delicious red is quite delicious and looks beautiful. This is a pink toned red and screams summers! 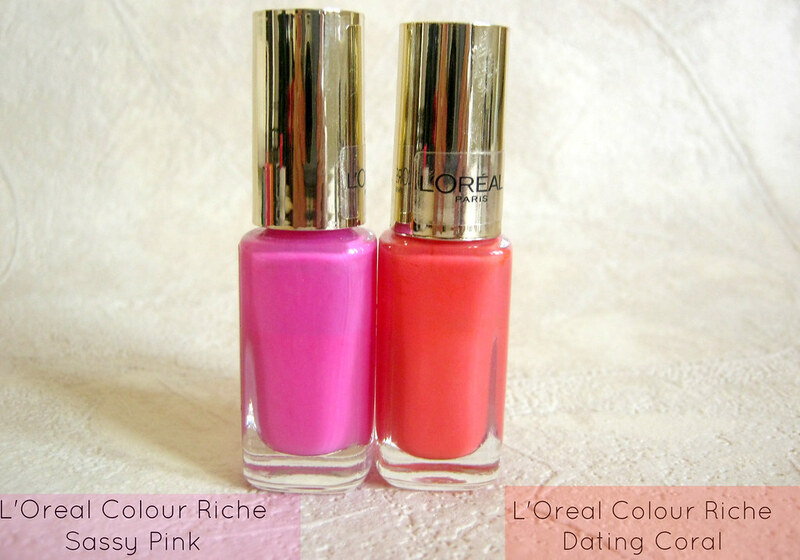 L'Oreal's colour riche nail polishes in sassy pink and dating coral are also two gorgeous vibrant summer colours that instantly lift up my mood! I also quite like ELF's teal blue which is a pretty turquoise blue colour and Rimmel's pink punk which is my favourite pink colour since years! It's the most perfect Barbie pink shade. 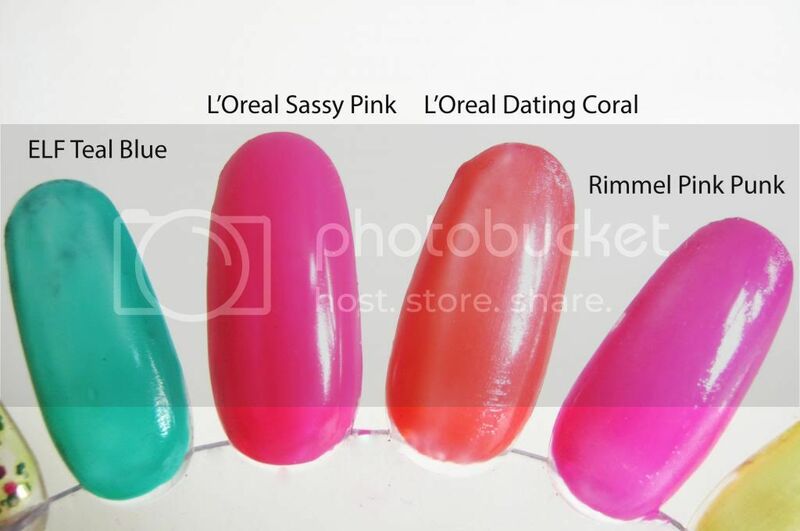 The L'Oreal polishes have better swatches on the actual post if you wish to see! 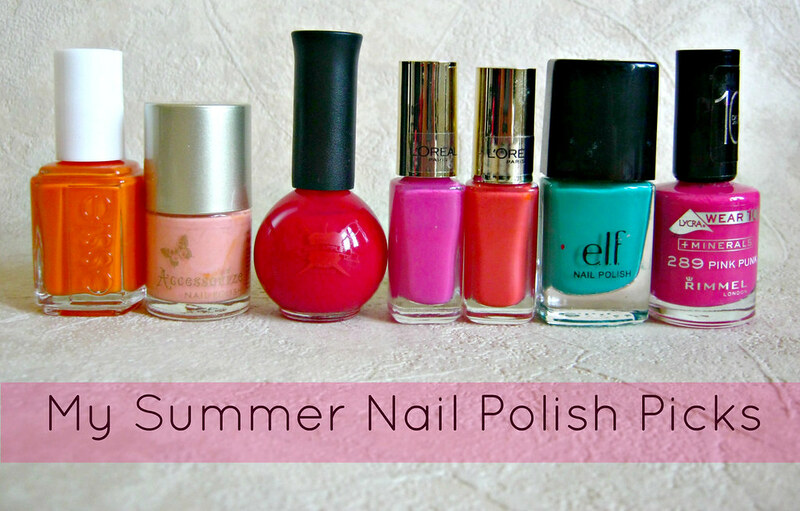 So these are my summer nail polish picks and hope you liked this post! I would love to know your favourite nail colours at the moment! The ELF Teal Blue is amazing! Have just added ta one to y ever growing wishlist! Yummyy, I really need to get me some Loreal Color Riche polishes! They always tempt me! sassy pink and teal blue are gorgeous! gorgeous warm colours - so perfect for the sunshine we should be having! Good picks! I really love that ELF teal blue and the Essie polish looks great! Loving the look of ELF's Teal Blue! That colour is SO me! Here's hoping we actually have a proper summer this year.